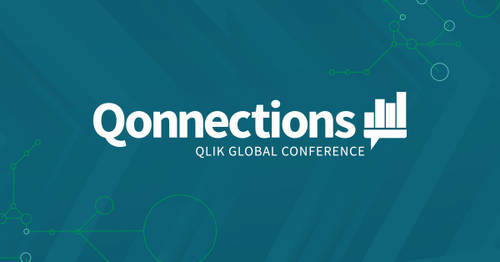 The 2019 Gartner MQ – Qlik Named a Leader 9 years in a Row! 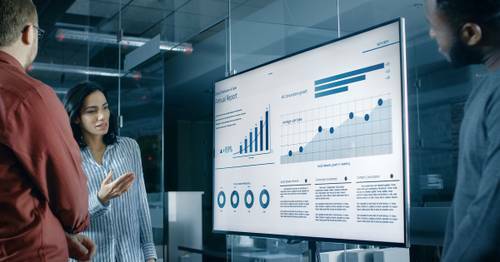 Today’s always a big day in the analytics world – the release of the annual Gartner Magic Quadrant for Analytics and Business Intelligence. Qlik continues its streak of being positioned in the leader’s quadrant, with today marking our ninth consecutive year. That is consistency in vision and execution a customer can trust. So how did we get here? The acquisition of Qlik Data Catalyst (rebranded from Podium Data) and the launch of the Qlik Associative Big Data Index to take advantage of distributed data estates, and help enterprises to better understand, manage and prepare all their data for analytics, with industry-leading scalability and performance. The launch of Qlik Core which helps developers build new classes of data-driven applications with the Qlik Associative Engine through a developer-focused model purpose-built for the cloud, leveraging Linux and a containerized approach for the engine, along with supporting open APIs and open source libraries for integration into non-dashboard projects. This brings analytics to many more places and moments, from the c-suite to the edge. The launch of the Trusted Extension Developer program, enabling our partner and developer ecosystem by offering accreditation to extensions developed outside of Qlik to accelerate the adoption of quality and commercially available visual extensions within Qlik Sense. A deep commitment to furthering data literacy for all, with delivery of nearly 20 data literacy courses within Qlik’s Continuous Classroom, the launch of the world’s first global Data Literacy community, and commissioning the first-ever Data Literacy Index - a survey that showed the true business value of data literacy to organizational bottom line performance. 2019 is off to a strong start on multiple fronts. With our acquisition of CrunchBot & Crunch Data, we are rapidly enhancing our existing natural language capabilities and taking conversational analytics to new places and new heights. And with our latest release of Qlik Sense we’ve brought forth new enhancements to the Qlik Sense UI by providing a more fluid and natural user experience, expanded EMM (Enterprise Mobile Management) capabilities for our mobile users delivered seven new visualizations. QlikView addicts also find the features that delight them also in Qlik Sense– with much more advanced and highly customized authoring, as well as our new extension bundles which bring new visualizations and dashboard capabilities directly in Qlik Sense. Customers are looking for help on many fronts in a world of continually growing and distributed data, users and analytical use-cases. 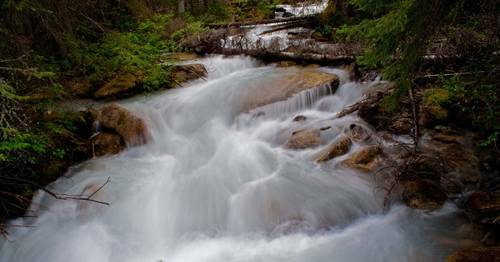 Supporting data-driven transformation is something that requires scale, scope, performance and complexity on another level: a state of the art architecture that is truly hybrid and multi-cloud, that manages and achieves a single view into all your data (not just big data), extending augmented intelligence to the edge of the organization. We continue to evolve our products and solutions to tackle the most complex challenges, and are working hard in 2019 to help enterprises more confidently lead with data. 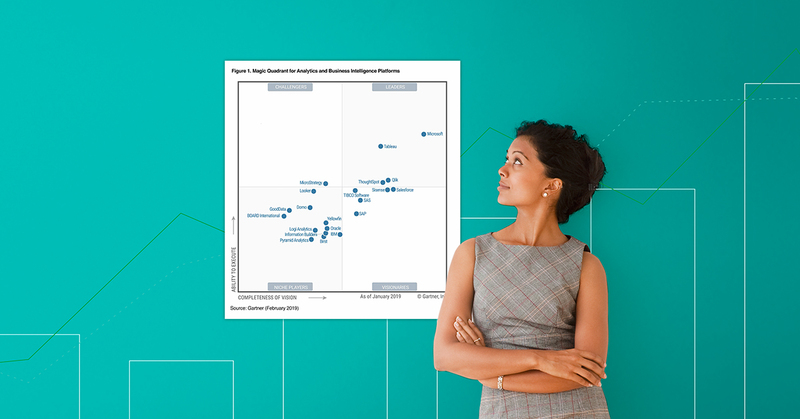 Get the full 2019 Gartner Magic Quadrant for Analytics and BI report. We are thrilled to continue our streak in the Gartner MQ, here's a glimpse into what brought us here & where @Qlik is going next!